Participation in a faculty mentored undergraduate research project can be the most influential experience in helping students identify career interests and in helping students attain their career goals. Undergraduate research has been a long standing tradition in chemistry. In fact, the national Council on Undergraduate Research, the premier advocacy group for undergraduate research in all academic disciplines, was founded in 1978 by chemists. 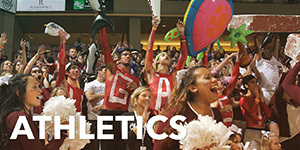 The College of Charleston has made it possible for all students and faculty at CofC to get a free membership in CUR. Putting down your membership in CUR is more than an extra line on your vita, resume, or application to graduate or professional school. A membership in CUR will give you access to a national network that can help you advance your training and career. Take the time to visit the CofC URCA website and sign up to become a member of CUR if doing research is important to you. We also have information about summer research opportunities that are off-campus. Ask around! Many of our upper classmen are currently involved in research projects and would be happy to share their experiences with you. The faculty in our department are conducting research with undergraduates on a variety of topics. If some of those research opportunities look interesting, ask the professor about getting involved in research in her or his group. Take the research rotation course. This one-credit course (CHEM 183) gives students a survey of some resesarch that is taking place in our department by having students visit six different labs for two weeks each to learn about the research projects in each lab. Every November the School of Sciences and Mathematics hosts a Research Match Making Session in which interested students can learn about available research opportunities at C of C and MUSC directly from the faculty members leading the projects. A great guide to getting started in undergraduate research is webGuru. 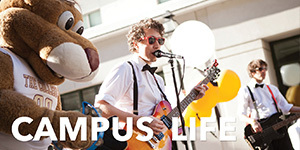 In our department, a student can earn up to 10 GPA credit hours in research. The courses for which students receive graded academic credit in research include CHEM 481 (2 credits), CHEM 482 (2 credits), and CHEM 499 (6 credits). Enrollment into one of these courses requires the student to make arrangements in advance with the faculty mentor supervising the research. CHEM 481 is a prerequisite of CHEM 482. If you are Chemistry or Biochemistry major you can also enroll for a zero credit hour listing of CHEM 397. By enrolling in CHEM 397, your research experience will be indicated on your transcript. 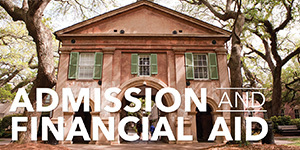 Descriptions of all courses are provided in the CofC undergraduate catalog. There are always at least two objectives for a faculty mentored undergraduate research: (1) to advance the scientific discipline and (2) to advance the career development of the undergraduate doing the research. Ideally, an undergraduate would work on a project, seeing it through to the point of publication in a peer reviewed scientific journal. But not every research projects culminates in a publication, and the project does not need to culminate in a publishable end point in order for the experience to be meaningful. In terms of reaching a culmination in a project, it is hoped that by doing research, the undergraduates will be striving to reach a point where the results of the research are broadly disseminated in print (peer reviewed publication) or orally (presentation at a scientific meeting). There are many opportunities for oral dissemination of research results. Professional research conferences, which are often held in interesting locations, are the traditional venues for oral communication of project results. The idea of participating in a research conference is to both share scientific information and to network with others. Most scientific conferences are hosted by professional organizations like the national meetings of the American Chemical Society , the South Eastern Regional Meetings of the American Chemical Society (C of C chemistry students at 2016 SERMACS pictured above), PittCon sponsored by the Spectroscopy Society of Pittsburgh (SSP) and the Society for Analytical Chemists of Pittsburgh (SACP), meetings for undergraduate research such as CUR National Conference, and statewide meetings like those organized by the South Carolina Academy of Sciences. But even if the research is not communicable at a professional meeting, the results of an undergraduate research project can almost certainly be presented on the College of Charleston campus at the Celebration of Scholars (in the fall, usually on convocation day) or the School of Sciences and Mathematics Poster Session in April. Students who do research during the academic year are generally not paid for that effort. But most of the students who do research during the summer are paid for that effort. 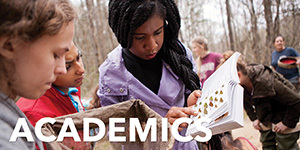 Funding for summer research positions is obtained by faculty members securing external grant support (from agencies like NSF, NIH, Research Corporation, or ACS-PRF), from private donations to the Chemistry Fund, by program grants (like HHMI), or from internal grants prepared by collaborative submission to the URCA program. 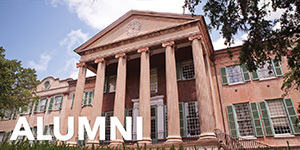 The URCA program at the College of Charleston also funds collaborative (faculty mentored) student applications for modest academic year funding (AYRA) of supplies, major academic year grant support (MAYS), and travel grants to enable students to present results at professional meetings (RPG). Students and faculty who conducted research at the College of Charleston in Summer 2017 are pictured above. 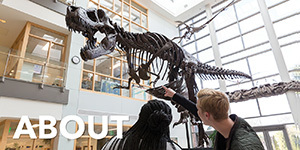 Off-campus opportunities for summer undergraduate research experiences are also available.